God's Word tells us of all that is ours through his Son. Our security is guaranteed, our provision is sure. In the face of such abundant life, why is our joy so often stolen from us? Undoubtedly we pass through seasons of difficulty, sorrow, and uncertainty. But real joy isn't conditional on circumstances, is it? 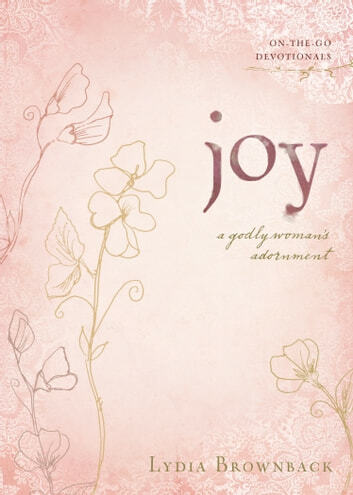 How are we to pursue joy in seasons of both plenty and need? This newest addition to a series of small devotional books for women teaches that we will only find perpetual joy when we pursue Christ. Brownback helps women understand that their joy is not circumstantial, but built on the promises of God and the work of Jesus. Forty-two short devotionals look to Scripture for words of encouragement, correction, wisdom, and guidance to help women adorn themselves with joy.